Movies Anywhere, previously known as Disney Movies Anywhere, is a cloud-based movies streaming service operated by The Walt Disney Company, and provides content from Walt Disney Studios, Universal Pictures, Twentieth Century Fox, Warner Bros. and Sony Pictures. Movies Anywhere serves as digital locker and centralized library through internal rights synchronization platform known as KeyChest, which synchronizes purchased content licenses from digital distribution platforms as well as digital copies redeemed from codes found in home media releases linked to a single user account. 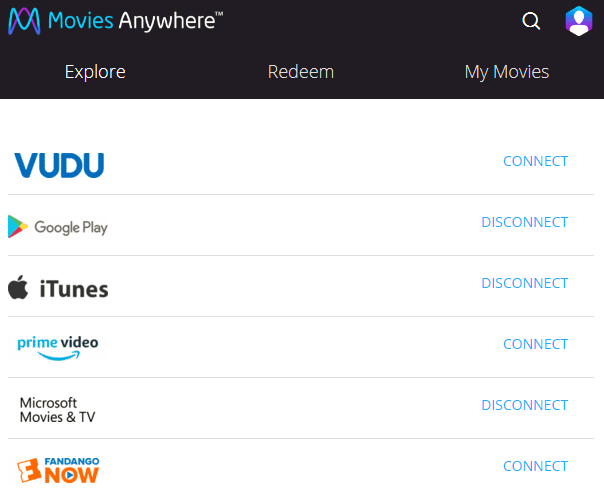 Movies Anywhere supports the integration and linkage with Apple iTunes Store, Google Play Movies & TV, Vudu, Amazon Prime Video, and FandangoNOW, offering a convenient one go-to app of your choice for all the digital movies streaming needs no matter where you purchased them. One glaring exception until now is Microsoft Movies & TV. While the Microsoft used be to partner of Movies Anywhere, the support ceased in September 2017. But now, Microsoft Movies & TV re-joins the family of Movies Anywhere, and to entice you to link your Microsoft account to Movies Anywhere, a limited-time free perk is offered. By connecting and syncing the Movies Anywhere account for the first time with participating digital retailer, which includes Microsoft Movies & TV, Vudu, Amazon Prime Video, Google Play, Apple iTunes and Fandango Now, you will receive X-Men: Days of Future Past (Theatrical HD Version) for free, added to your Movies Anywhere digital movie collection for life automatically. The free X-Men: Days of Future Past movie offer is available from August 6, 2018 through August 28, 2018. Once your connected digital retailers to Movies Anywhere, any movies that you purchased on any connected digital retailers and home media releases on Movies Anywhere will sync and appear on all linked accounts, allowing you to watch your favorite movies through your preferred apps in one place, regardless of where you bought them, on almost any devices and platforms, such as Windows 10, macOS, Xbox, Amazon Fire, Android smartphones, Android TV, Chromecast, iPhone, iPad, iPod touch, Roku devices and popular browsers. After logging in, hit Connect for the account that you want to link. Then sign in to that account and accept whatever permissions required. Once connected, the X-Men: Days of Future Past movie is automatically added to your movies library. If you don’t see it, try to disconnect and reconnect again. You need not have purchased movies on the online retailer account that you want to link to enjoy the offer either.